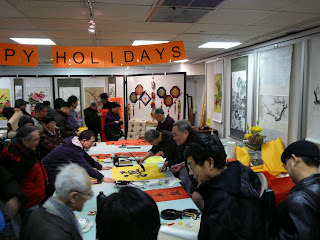 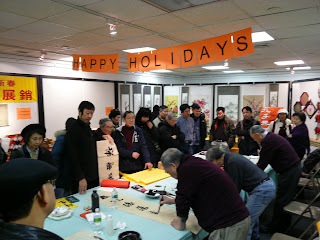 On January,18,2009, the Oriental Culture bookstore invited prominent calligraphers to make Chinese couplets for the Chinese New Year. 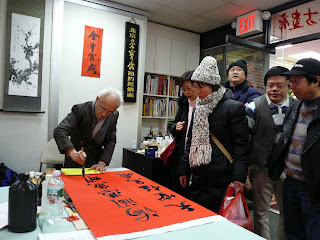 The couplets are written free for the bookstore's customers by the famous Messrs. Tan Hao 、 Zhao Lu、Chen Yijiu、Wang Maoxuan and Chen Yuzhi of New York. 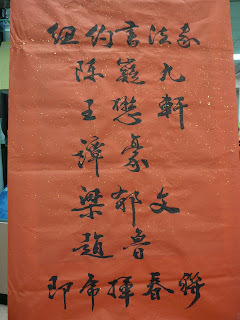 Couplets are very auspicious poetry written on two vertical banners that are usually placed on the two sides of the front door entryway of a house. 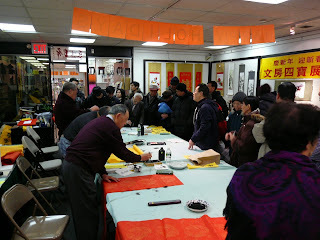 Customers have always come to this event with great excitement to see the masters in action and get their free couplets for the New Year.